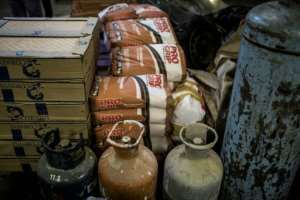 Towering piles of oil, tyres, biscuits, microwaves and toilet paper filled a small and damp Johannesburg basement -- all destined for Zimbabwe. The items are loaded onto trailers attached to minibuses which make the 550-kilometre (340-mile) journey north to the border. 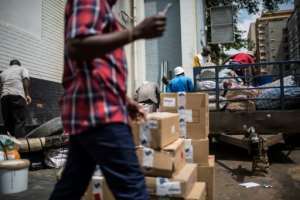 As Zimbabwe's economic situation has dramatically deteriorated, pushing inflation above 50 percent, shortages of household essentials have become widespread. Known in the local Ndebele language as "malayitsha" (transporters), they mostly fly below the radar and do not declare their wares to Zimbabwean customs. "It is dangerous. As long as they are ready to pay, I carry. 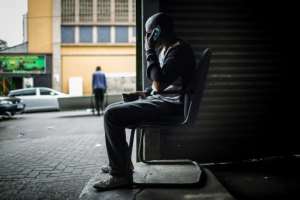 If I say 'I don't carry this', my kids will go on an empty stomach," said Charles, who has two children in Zimbabwe but spends much of his time in South Africa where he also has two children. Yvonne, a Zimbabwean secretary in South Africa, arrived with an enormous sack brimming with items for her parents and sister back home -- a monthly ritual. Charles charges 5 rands ($0.34) for 20 bags of crisps, 150 rands for 20 litres of petrol, and 5,000 rands for a fridge. 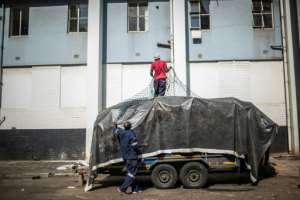 "The fridge... was also bought in South Africa because if I were to buy it here the amount would be enough to buy three," said Emily Maphosa, a resident of Zimbabwe's second city, Bulawayo. "In South Africa with 500 rands, it's better -- I can buy and afford groceries that can last me almost a month," she said. "In this country, 500 rand can only get a few items that won't last even a week," she added, while cooking kale. "With about 250 rand, I managed to buy all 36 (exercise) books required for my son," she said, adding that locally they would have cost more. 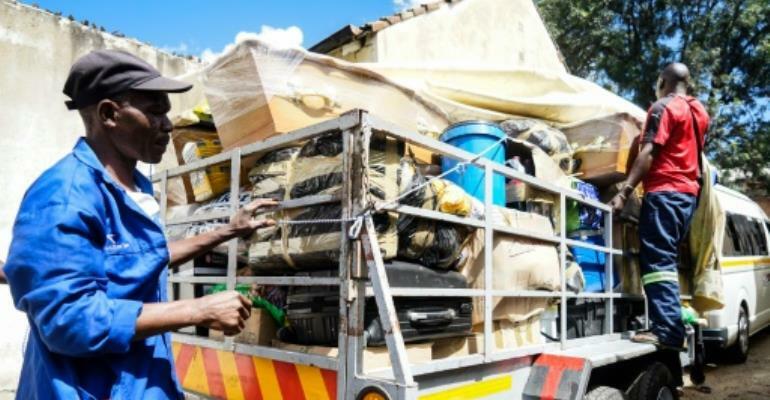 Many drive at night, avoiding Zimbabwean police roadblocks, while in South Africa they bribe officers to ignore overloaded trailers -- sometimes stacked four metres (just over 13 feet) high. Charles spends "between 1,500 rands and 2,000 rands for bribes" every trip. 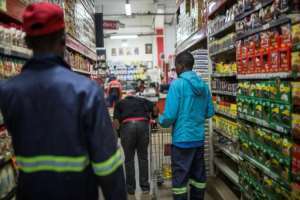 As Zimbabwe's economy floundered over the past year, their business has grown by up to 30 percent, he said, and goes above and beyond to satisfy customers.